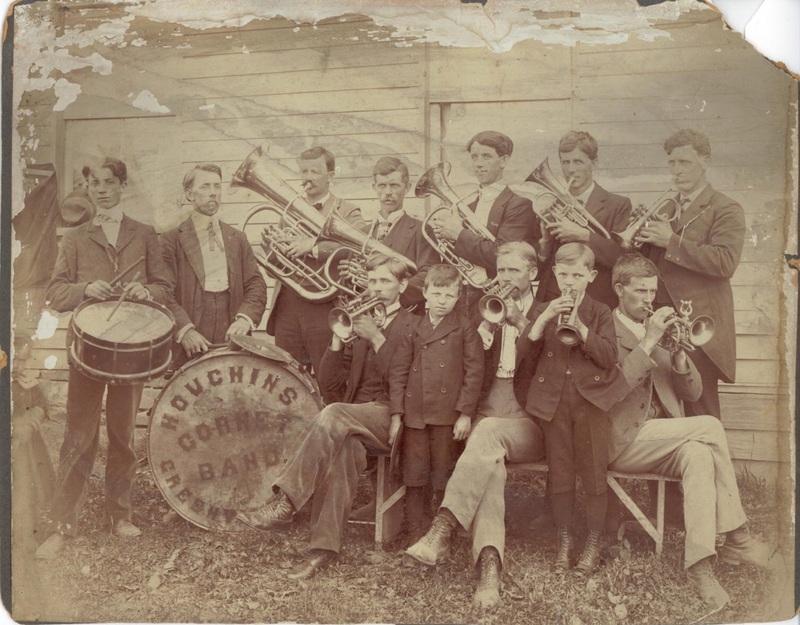 “The Houchins Cornet Band” was organized 1896-7, by nine young men, sons of the brothers, Reuben and Clayton M. Houchins. Later on a grandson joined. James F. was leader. 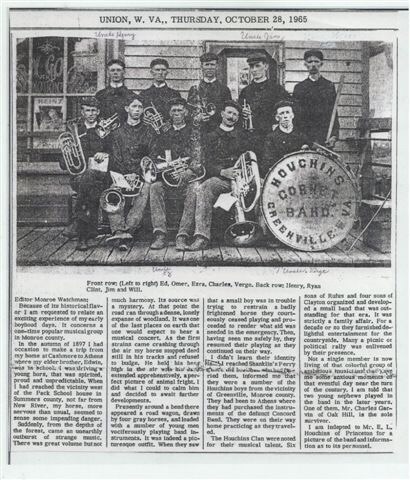 Some concerts were given in the spring of 1898 that went more than half way toward paying for the instruments. A snare drum and a fife were added to the equipment. After several of the members had fallen victims to matrimony the organization passed out of existence. James F. is a newspaper man, a writer of pungency and force, a close student of politics, and a firm advocate of woman’s suffrage. He edited the only journal that has appeared in the Indian Creek valley. His interest in the preparation of this volume [A History of Monroe County, West Virginia] has been most exemplary.